It’s that time of year again, time to give the gift of bacon to my brother for his birthday. 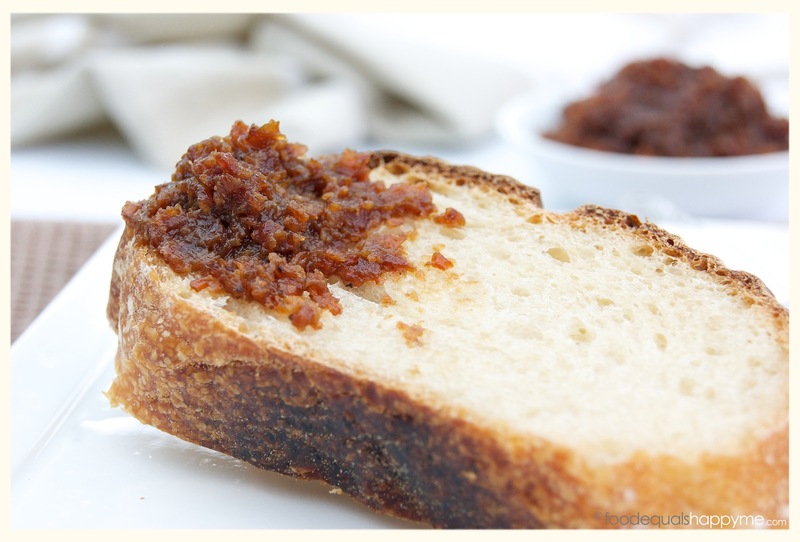 Last year was a cracker with these bacon roses, and this year didn’t disappoint either with a double barreled bacon present, consisting of Bacon Jam and Bacon & Sea Salt Caramels, oh yeah! 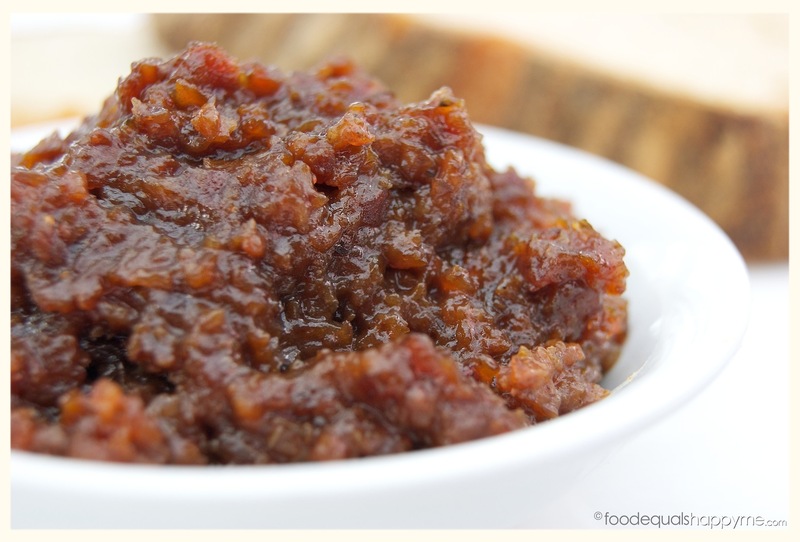 First up for your reading pleasure is the amazing Bacon Jam – Bacon-ey goodness in a spreadable form, surely up there with one of the best inventions ever. 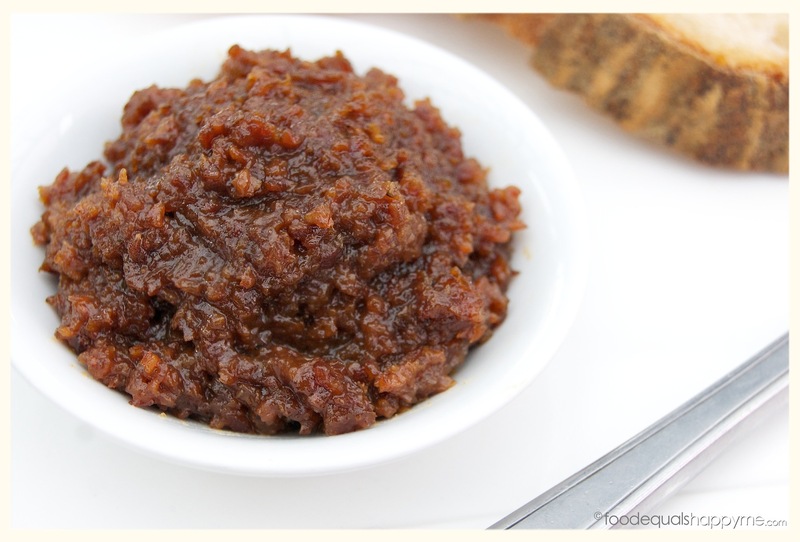 After just a couple hours of cooking you are left with an intense, sweet and salty, bacon ‘jam’. 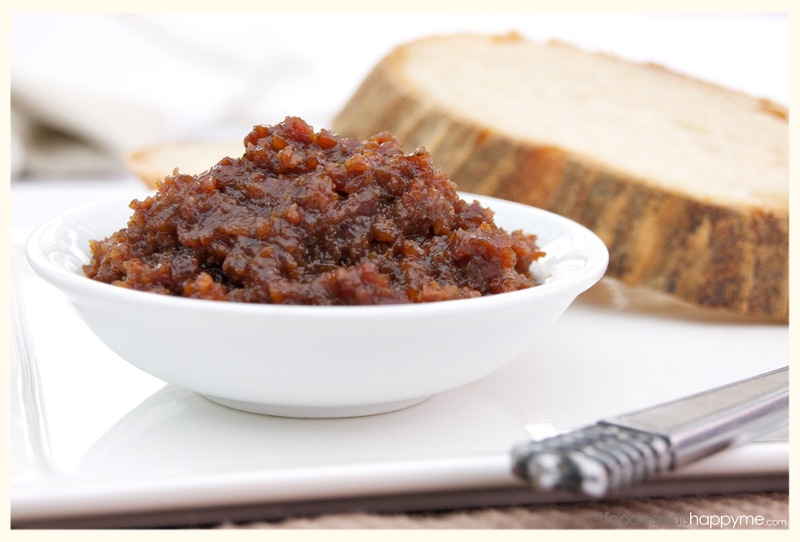 Enjoy it spread on some fresh white bread, add it on your burgers, to scrambled eggs, mix it through some sour cream for a bacon dip or serve it with your cheeseboard. Use it anywhere or anyhow you want to add some bacon goodness. A must try for any bacon lover. In a frypan, cook the bacon in batches until just starting to crisp, transfer to a plate and set aside. Add the onion and garlic to the pan and fry in the leftover bacon fat until the onions are translucent. While the onions are cooking, cut the bacon into 1 inch pieces. Transfer the chopped bacon, onion and garlic to a heavy based saucepan, and add the remaining ingredients. Simmer over a low heat for 2hours. Give it a stir every 30mins or so, and if it is looking a little dry top it up with a little extra water. After 2 hours, transfer the mixture to a food processor and pulse until it reaches the consistency you want. You can leave it a bit chunky so that you can still see bacon pieces, or you can process it until it reaches a smooth paste, it’s entirely up to you. Transfer the mix to a clean jar and store in the fridge. A handy tip when serving, is to give it a quick blast in the microwave first. It can be quite firm straight from the fridge, but after 20secs in the microwave it will be the same consistency as when it was first made. 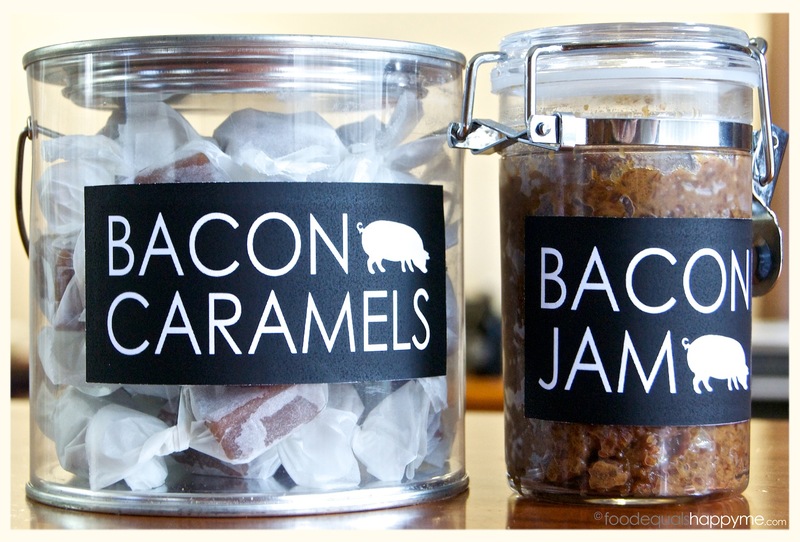 Stay tuned for more bacon-ey goodness next week with the Bacon & Sea Salt Caramels. Looks awesome – can’t wait to try this out! That is off the hook!! 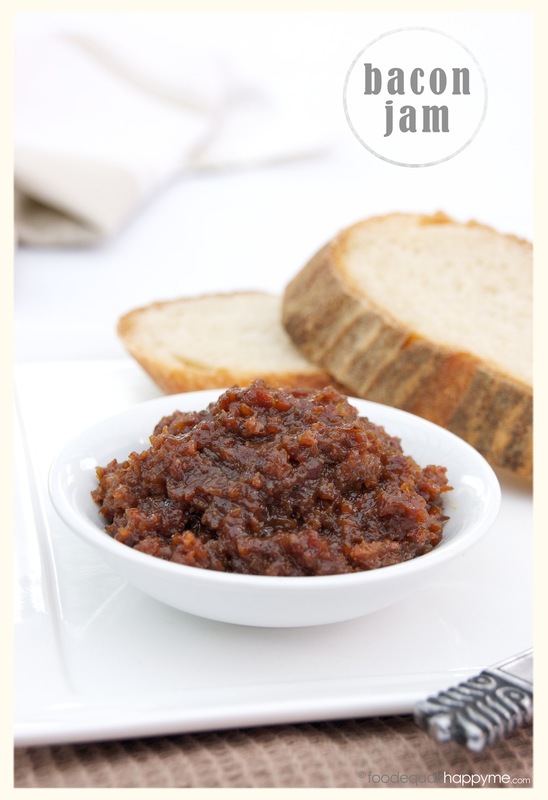 I’ve seen so many jars of bacon jam for sale in store, but never a recipe for it — I’m gonna have to try this out!